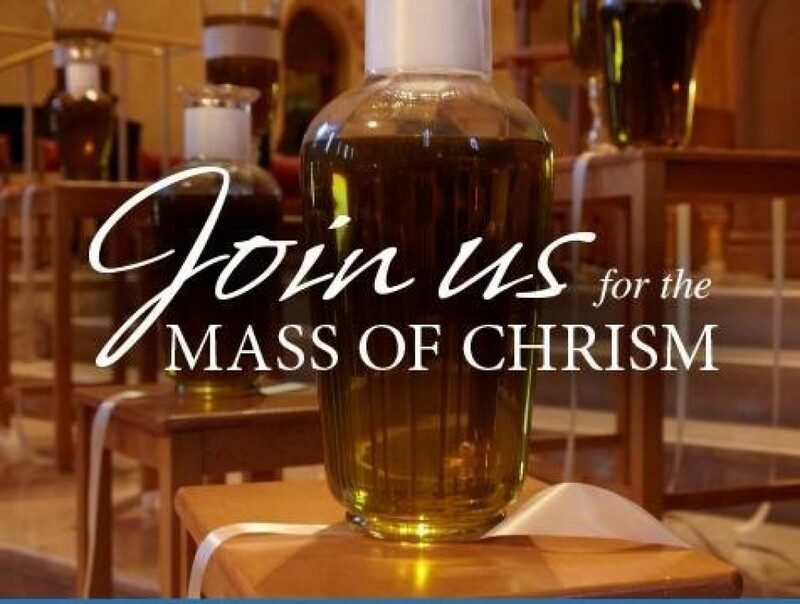 On Tuesday, April 16, 2019, the people of the Archdiocese of Milwaukee will gather to celebrate the annual Mass of Chrism at the Cathedral. The oils used by all of the parishes for sacraments and special rites are consecrated by the Archbishop at this Mass. All who are present, the ordained, the bishops and the laity prayerfully re-commit to the Gospel and the Church. This is a very unique and rich celebration for the people of our Archdiocese. The blessed oils are brought back to be solemnly presented to our parishes the evening of Holy Thursday. Please consider attending with fellow St. Bernard members this year. The Mass starts at 7:30 PM. Should you wish to carpool, our group will leave from the Harwood Avenue parking lot about 5:00 PM. Reservations for dinner will be arranged at Elsa’s for 6:00 PM for those who wish to enjoy dinner beforehand. The Cathedral is located on Jackson St. between Kilbourn and Wells. For restaurant reservations, directions, or to learn more, please call Mary O'Connell at 414-475-7559 or click here to send Mary an email.